The Special Olympics World Games is a major sporting event held every two years, alternating between the summer and winter games, to showcase athletes with intellectual disabilities. The event this year will be hosted in the United Arab Emirates (UAE), following the withdrawal of bids from Australia, Germany, and South Africa in 2015. Over 190 nations are sending athletes to participate. An estimated 500,000 spectators are expected to attend the event. Additionally, there will be approximately 7,000 athletes, 2,500 coaches, 20,000 volunteers, and several thousand people from delegations and staff. Sporting events are planned at nine venues across Abu Dhabi and Dubai. The opening ceremony will be held at the Zayed Sports City Stadium, the largest venue in the Persian Gulf. The primary location is the Abu Dhabi National Exhibition Centre. Other locations include the Abu Dhabi Sailing and Yacht Club, Abu Dhabi Corniche, Yas Marina Circuit, Yas Links Abu Dhabi golf course, Al Forsan International Sports Resort, Dubai Police Club Stadium, and the Hamdan Sports Complex. Heightened security measures are expected at the event locations and in the surrounding areas, as they are with any large-scale event. This may include security checkpoints at exits/entrances and traffic restrictions. There have been no announcements regarding specific security protocols or road closures ahead of the event at this stage. An increased security and police presence are also expected at key locations, such as tourist sites, popular hotels, and major airports. Due to the number of people viewing and attending the event, there will be an increased demand for the use of public transportation and taxis. This will also lead to further traffic congestion in cities where high traffic volume and vehicle accidents are common. It is known that taxis will not be allowed into the Zayed Sports City Stadium during the opening ceremony. Although there are currently no known credible threats made to the Special Olympics or the host cities, the international attendance and participation in the games presents a potentially attractive target for terrorist groups. Specifically those, such as the Islamic State of Iraq and Syria (ISIS) and al-Qaida, who focus on and plan attacks against foreign targets. Overall, there remains a moderate threat of terrorism in the United Arab Emirates, as there is in multiple countries across the Arabian Peninsula. This is also increased by the country's proximity to ongoing conflicts in the region. Yemen's Houthi rebels have fired several ballistic missiles into neighbouring Saudi Arabia over the past years and have stated that the United Arab Emirates is a target. In 2017, the rebel group claimed to have fired a missile towards Abu Dhabi and attacked Dubai Airport with an armed drone; however, both incidents were denied by the UAE. In February 2019, the UAE government signed multiple weapons deals, worth $1.3 billion, with local and international companies, which include contracts for missiles, ground and naval systems, and firearms. With the combination of a moderate terrorism threat and international attendance at the Special Olympics, a heightened police presence and increased security measures can be expected in the host cities. In general, crime levels in both Abu Dhabi and Dubai are below those compared to similarly sized cities. Both violent and petty crime levels are low. Cases involving pick-pocketing, shoplifting, and scams are possible, particularly in public tourist areas, transportation hubs, and in proximity to the Special Olympics' venues. Incidents of assault and sexual violence can occur. Precise crime levels cannot be determined due to the government not publicising crime statistics and rates of under-reporting. While road networks in Abu Dhabi and Dubai are generally in good condition, travel along the roadways can be hazardous. Police patrols, cameras, and traffic enforcement procedures are observed. However, high traffic volumes, speeding, and unsafe driving habits are common. This includes stopping vehicles abruptly, making turns from the wrong lanes, and undesignated stops. The country has one of the highest rates of road fatalities in the world as a result. Public transportation in the country is generally safe and reliable. Bus and taxi services are operating in both Abu Dhabi and Dubai. Travellers should ensure that only metered taxis are called and utilised. Dubai's metro system is considered one of the best developed in the region and consists of two operational lines. 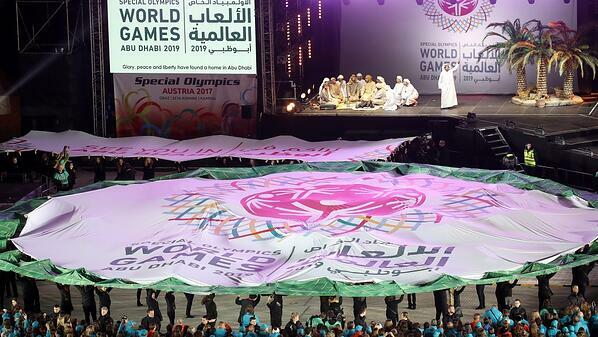 This year's event will be the first Special Olympics to take place in the Middle East, which will make it a high-profile event, and bringing a focus on the country and region. It will also bring hundreds of thousands of international people to Abu Dhabi and Dubai. This heightens the risk of possible threats, attacks, or opportunistic crimes. In addition, the international presence will increase security measures at various key locations in the host cities. Large-scale and visible security is likely at venues and stadiums such police deployments, searches, screenings, and identification and vehicle checkpoints. Restrictions to roadways and public transit may also occur, particularly on routes near venues and along major streets. Heightened security measures are expected to be visible at popular tourist sites, hotels, and airports as a precautionary measure. The number of attendees places a higher demand on accommodations spaces and public transportation networks. Demand on taxi services and streets, in combination with the traffic volumes and hazardous driving environment, may result in delays and greater risk in ground travel. The international nature of the event presents a possible target for acts of terrorism. Report any suspicious behaviour or situations to the authorities. Remain aware and vigilant of your surroundings, as large crowds and public spaces will increase the risk of petty crime to occur. Follow any instructions issued by the officials and police, particularly during security screenings or if encountering patrol units. Expect a heightened police presence at major sites, including venues, airports, and tourist spaces. Keep personal and important belongings on you or in a secure location. Allow for additional journey time for ground travel to and between destinations. Be aware of hazardous driving habits and use defensive driving measures when necessary. Extra time should also be allotted for travel along public transportation networks, checking transit sources regularly for updates on schedules. Utilise only metered taxis. Monitor local and national news sources for updates on the Special Olympics or possible developments in the country and region. Be aware of the ‘No Photography Zones' in the country, particularly near embassies, government buildings, military bases, and specific infrastructure sites.